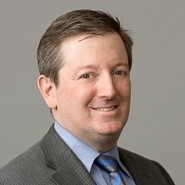 In “USPTO Training Memo Lacks Sound Basis in the Law,” published in Law360 on June 12, 2014, David A. Gass expands on his earlier critique of the U.S. Patent and Trademark Office’s March 4, 2014, memorandum to patent examiners. The memorandum outlines the procedure that all patent examiners are instructed to follow when evaluating patent eligibility under 35 USC Section 101 and attempts to interpret the Supreme Court’s Mayo, Myriad and Diamond v. Chakrabarty decisions pertaining to patent-eligibility of biotechnology processes and biochemical compositions. The information contained in this article is for informational purposes only and is not legal advice or a substitute for obtaining legal advice. Opinions expressed herein are those of the authors and are not to be attributed to Marshall, Gerstein & Borun LLP or any of its former, present or future clients.